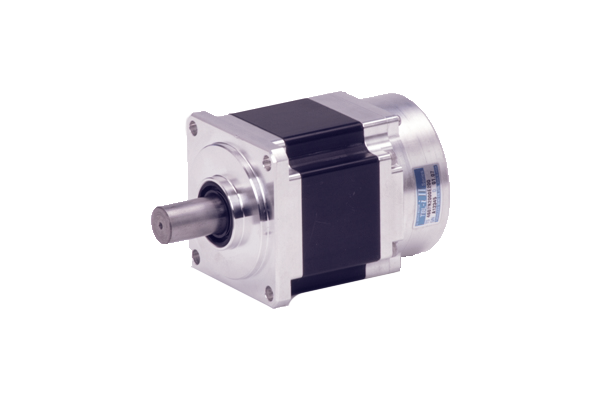 Super-compact in size, yet this series of AC servo motors guarantees incomparable high reliability. *Compared with our conventional motors, this series achieved a remarkable downsizing by 25% (for 750W motors). Our broad line-up allows customers to choose a product with specifications best suited for their specific needs. Comes with the” Smartsyn” brushless resolver as a standard feature geared for servo applications that require high reliability. Overseas industrial standards: Can be made compatible with UL and CE standards. Setting time reduction: Reduces position setting time to half (compared with our conventional models) ‒ made possible by enhancing control algorithm. ※ When combined with TA8411 driver, the momentary max. torque is reduced to two times the rated torque.